Quince and pomegranate. These have been my obsessions lately, things I keep buying on impulse, afraid to wake up the next day and find them out of season. I'm just as happy to spend a meditative 15 minutes loosening the pomegranate seeds from the shell and eating them by the spoonful: a flood of juice followed by a satisfying crunch all over in a matter of seconds. Quince are also not easily consumed, and always require some kind of heat to release their mouth-puckering astringency. Spoiled little things these two fruits, always in need of attention. As far as attention goes, this is not the most time-consuming, assuming you realize before-hand the commitment you're making to removing pomegranate seeds. It's billed as a condiment for roast chicken (turkey perhaps, as an alternative to cranberry sauce? Although it's not quite so palate-cleansing). But I found myself eating it by the spoonful. 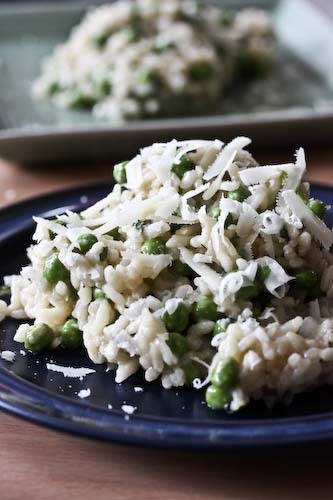 Richard Ruben, from who's book this recipe comes, suggests serving it on bread with a slice of sharp white cheddar. He also says not to worry about leftovers, the flavor improves a bit with time. If you're partial to splatter paintings, keep your cookbook open next to you while you remove the pomegranate seeds for a deep purple pattern of staining juices. Heat the oil on medium heat in a saucepan. Cook the onion until translucent, about 5 minutes, then add the garlic and ginger and cook for another 2 minutes. 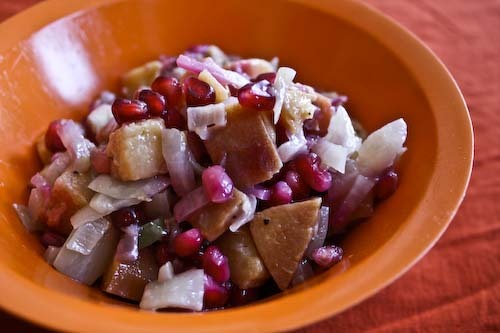 Add the rest of the ingredients, reserving the pomegranate seeds. Cover and cook on low for 45 minutes. 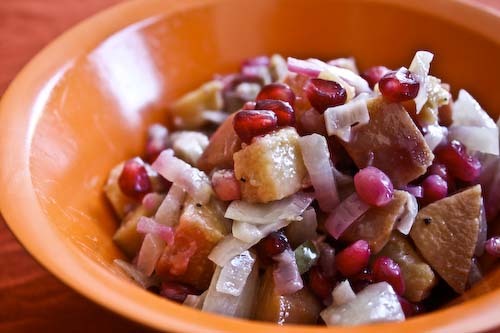 Mix in pomegranate seeds. Sounds good! I love pomegranate! Unfortunately for me I've never seen quince for sale in the UK, it sounds really tasty though! Snooky Doodle and Miss Marie, I love them as well! Definitely. Sam, well you have plenty of things there I can't find easily here. I wonder if they can be ordered?